The molecular gas in (some) early-type galaxies holds important clues tothe history and the future of these galaxies. In pursuit of these clues,we have used the BIMA millimeter array to map CO emission in the giantelliptical galaxies NGC 83 and NGC 2320 and to search for CO emissionfrom the S0 galaxy NGC 5838. We also present V and R images of NGC 83and NGC 2320 that trace their dust distributions and enable a search fordisky stellar structures. The molecular gas in NGC 83 is well relaxed,but both CO and dust in NGC 2320 show asymmetric structures that may belinked to a recent acquisition of the gas. However, the specific angularmomentum distribution of molecular gas in NGC 2320 is consistent withthat of the stars. Internal origin of the gas (stellar mass loss)cannot, therefore, be ruled out on angular momentum grounds alone. Wealso consider the evidence for star formation activity and disk growthin these two elliptical galaxies. Radio continuum and FIR fluxes of NGC83 suggest star formation activity. NGC 2320 has bright [O III]emission, but its large radio-FIR flux ratio and the mismatch betweenthe kinematics of CO and [O III] suggest that the ionized gas should notbe attributed to star formation. The origin and future of these twoCO-rich early-type galaxies are thus complex, multifaceted stories. We present Heinrich Hertz Telescope CO (3-2) observations of a sample of10 early-type galaxies detected both in far-infrared (IRAS) and in CO(1-0). Six of the objects (i.e., 60% of the sample) were detected in theCO (3-2) transition. Comparison of the beam-matched CO (3-2)/CO (1-0)and CO (2-1)/CO (1-0) intensity ratios with simple large velocitygradient and photodissociation region models reveals that early-typeobjects can be broadly classified into two categories. The majority ofobjects have a molecular interstellar medium of moderate density(nH2<=1000 cm-3) and temperature(T<=30 K). Two objects, NGC 3593 and NGC 4691, show indications ofquite denser and warmer environments, as well as gradients in theirphysical properties, compatible with their classification as starbursts.The heating source of the molecular gas and dust in all the objects inour sample appears to be ongoing star formation. Revised (B-V)0-Mg2 data, which are used to testreddening predictions, are presented for 402 elliptical galaxies. Thesereddening predictions can tell us both what the intrinsic errors are inthis relationship among gE galaxy stellar populations as well as detailsof nearby structure in the interstellar medium (ISM) of our Galaxy, andof the intrinsic errors in reddening predictions. Using least-squaresfits, the explicit 1 σ errors in reddenings predicted by theBurstein-Heiles (BH) method and the Schlegel and coworkers (IR) methodare calculated, as well as the 1 σ observational error in the(B-V)0-Mg2 for gE galaxies. It is found that indirections with E(B-V)<0.100 mag (where most of these galaxies lie),1 σ errors in the IR reddening predictions are 0.006-0.009 mag inE(B-V), those for BH reddening predictions are 0.011 mag, and the 1σ agreement between the two reddening predictions is 0.007 mag.The IR predictions have an accuracy of 0.010-0.011 mag in directionswith E(B-V)>=0.100 mag, significantly better than those of the BHpredictions (0.024-0.025). Both methods yield good evidence thatgas-to-dust variations that vary by a factor of 3, both high and low,exist along many lines of sight in our Galaxy. Both methods also predictmany directions with E(B-V)<0.015 mag, despite the difference in zeropoint that each has assumed. The ~0.02 higher reddening zero point inE(B-V) previously determined by Schlegel and coworkers is confirmed,primarily at the Galactic poles. Independent evidence of reddening atthe north Galactic pole (NGP) is reviewed, with the conclusion thatdirections still exist at the NGP that have E(B-V)<<0.01. Twolines of evidence suggest that IR reddenings are overpredicted indirections with high gas-to-dust ratios. As high gas-to-dust directionsin the ISM also include the Galactic poles, this overprediction is thelikely cause of the E(B-V)~0.02 mag larger IR reddening zero pointrelative to that of BH. Accurate maps of Galactic reddening are important for a number ofapplications, such as mapping the peculiar velocity field in the nearbyuniverse. Of particular concern are systematic errors which vary slowlyas a function of position on the sky, as these would induce spuriousbulk flow. We have compared the reddenings of Burstein & Heiles (BH)and those of Schlegel, Finkbeiner, & Davis (SFD) to independentestimates of the reddening, for Galactic latitudes |b|>10^deg. Ourprimary source of Galactic reddening estimates comes from comparing thedifference between the observed B-V colors of early-type galaxies, andthe predicted B-V color determined from the B-V-Mg_2 relation. We havefitted a dipole to the residuals in order to look for large-scalesystematic deviations. There is marginal evidence for a dipolar residualin the comparison between the SFD maps and the observed early-typegalaxy reddenings. If this is due to an error in the SFD maps, then itcan be corrected with a small (13%) multiplicative dipole term. Weargue, however, that this difference is more likely to be due to a small(0.01 mag) systematic error in the measured B-V colors of the early-typegalaxies. This interpretation is supported by a smaller, independentdata set (globular cluster and RR Lyrae stars), which yields a resultinconsistent with the early-type galaxy residual dipole. BH reddeningsare found to have no significant systematic residuals, apart from theknown problem in the region 230^deg<310^deg,-20^deg<20^deg. We present absorption-line strengths on the Lick/IDS line-strengthsystem of 381 galaxies and 38 globular clusters in the 4000-6400Angstroms region. All galaxies were observed at Lick Observatory between1972 and 1984 with the Cassegrain Image Dissector Scanner spectrograph,which makes this study one of the largest homogeneous collections ofgalaxy spectral line data to date. We also present a catalog of nuclearvelocity dispersions used to correct the absorption-line strengths ontothe stellar Lick/IDS system. Extensive discussion of both random andsystematic errors of the Lick/IDS system is provided. Indices are seento fall into three families: alpha -element-like indices (including CN,Mg, Na D, and TiO2) that correlate positively with velocity dispersion;Fe-like indices (including Ca, the G band, TiO1, and all Fe indices)that correlate only weakly with velocity dispersion and the alphaindices; and H beta that anticorrelates with both velocity dispersionand the alpha indices. C24668 seems to be intermediate between the alphaand Fe groups. These groupings probably represent different elementabundance families with different nucleosynthesis histories. We present a full-sky 100 mu m map that is a reprocessed composite ofthe COBE/DIRBE and IRAS/ISSA maps, with the zodiacal foreground andconfirmed point sources removed. Before using the ISSA maps, we removethe remaining artifacts from the IRAS scan pattern. Using the DIRBE 100and 240 mu m data, we have constructed a map of the dust temperature sothat the 100 mu m map may be converted to a map proportional to dustcolumn density. The dust temperature varies from 17 to 21 K, which ismodest but does modify the estimate of the dust column by a factor of 5.The result of these manipulations is a map with DIRBE qualitycalibration and IRAS resolution. A wealth of filamentary detail isapparent on many different scales at all Galactic latitudes. Inhigh-latitude regions, the dust map correlates well with maps of H Iemission, but deviations are coherent in the sky and are especiallyconspicuous in regions of saturation of H I emission toward denserclouds and of formation of H2 in molecular clouds. In contrast,high-velocity H I clouds are deficient in dust emission, as expected. Togenerate the full-sky dust maps, we must first remove zodiacal lightcontamination, as well as a possible cosmic infrared background (CIB).This is done via a regression analysis of the 100 mu m DIRBE map againstthe Leiden-Dwingeloo map of H I emission, with corrections for thezodiacal light via a suitable expansion of the DIRBE 25 mu m flux. Thisprocedure removes virtually all traces of the zodiacal foreground. Forthe 100 mu m map no significant CIB is detected. At longer wavelengths,where the zodiacal contamination is weaker, we detect the CIB atsurprisingly high flux levels of 32 +/- 13 nW m-2 sr-1 at 140 mu m andof 17 +/- 4 nW m-2 sr-1 at 240 mu m (95% confidence). 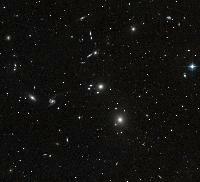 This integratedflux ~2 times that extrapolated from optical galaxies in the Hubble DeepField. The primary use of these maps is likely to be as a new estimatorof Galactic extinction. To calibrate our maps, we assume a standardreddening law and use the colors of elliptical galaxies to measure thereddening per unit flux density of 100 mu m emission. We find consistentcalibration using the B-R color distribution of a sample of the 106brightest cluster ellipticals, as well as a sample of 384 ellipticalswith B-V and Mg line strength measurements. For the latter sample, weuse the correlation of intrinsic B-V versus Mg2 index to tighten thepower of the test greatly. We demonstrate that the new maps are twice asaccurate as the older Burstein-Heiles reddening estimates in regions oflow and moderate reddening. The maps are expected to be significantlymore accurate in regions of high reddening. These dust maps will also beuseful for estimating millimeter emission that contaminates cosmicmicrowave background radiation experiments and for estimating soft X-rayabsorption. We describe how to access our maps readily for general use. CO observations have shown that many lenticular and elliptical galaxiescontain significant amounts of cool dense gas. This review summarizesthe observational results related to the neutral gas phase and presentsa systematic comparison with other interstellar and stellar data. Thediscovery of very dense molecular gas in the nuclear regions ofearly-type galaxies, the possible existence of a dust component neitherseen optically nor in CO, internal inconsistencies of cooling flowscenarios, the origin of the cool gas, the presence of massive stars,aspects of galaxy evolution, and possibilities for future research arediscussed in the light of the new data. A search for CO(2-1) emission from 42 early-type galaxies with 100micron flux densities greater than 1 Jy detected (tentatively in somecases) 11 galaxies and tentatively found absorption against the activenucleus in two. Data from this survey and from the literature show thatthe overall detection rate of CO emission or absorption in ellipticalgalaxies is 45% and that the detection rate increases with increasing100 micron flux density. The data suggest that all elliptical galaxiescontain a small amount of cold interstellar matter. The CO andfar-infrared fluxes are well correlated, though the relationship shows alot of scatter, which does not appear to be caused by variations in thetemperature of the interstellar dust and probably indicates differencesin the physical state of the interstellar medium from galaxy to galaxy.The CO flux densities are completely uncorrelated with the galacticstarlight. The detection of CO emission shows that many ellipticalgalaxies have dense cold gas in their inner regions. The four galaxieswhich are known to have CO absorption, including the two from thepresent paper, have relatively narrow absorption components which are atthe galaxy's systemic velocity and/or redshifted with respect to thisvelocity, consistent with infall to the center of the galaxy. Total color indices (V-R)T, (V-I)T and effectivecolor indices (V-R)e, (V-I)e in the Cousins VRIphotometric system are presented for 501 mostly normal galaxies. Thecolors are computed using a procedure outlined in the Third ReferenceCatalogue of Bright Galaxies (RC3) whereby standard color curvesapproximated by Laplace-Gauss integrals are fitted to observedphotoelectric multiaperture photometry. 11 sources of such photometrywere used for our analysis, each source being assigned an appropriateweight according to a rigorous analysis of residuals of the data fromthe best-fitting standard color curves. Together with the integrated B-Vand U-B colors provided in RC3, our analysis widens the range ofwavelength of homogeneously defined colors of normal galaxies of allHubble types. We present color-color and color-type relations that canbe modeled to understand the star formation history of galaxies. Cold dust in elliptical galaxies. We have observed the λ1250 µm flux in 8 elliptical galaxiesusing the MPIfR 7-channel bolometer system attachet to the IRAM 30-mtelescope. 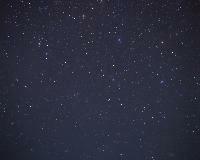 Five of the galaxies are detected at more than 3σ, twoare tentatively detected and for one we obtained an upper limit. For twoof the detected galaxies, the CO(2-1) line makes a significantcontribution to the measured λ1250 µm flux. A comparison ofthe λ1250 µm fluxes, corrected for the CO(2-1) linecontribution, with IRAS 60 and 100µm data shows that there is acolt dust component (Td~<20K) in two of the ellipticals. The othergalaxies have λ1250 µm fluxes consistent with aone-temperature component, with Td typically between 20-30K. The molecular cloud content of early-type galaxies. V. CO in elliptical galaxies. A survey of CO emission in 29 far-IR selected elliptical galaxiesresulted in 16 detections, of which 3 remain tentative. The moleculargas masses range from 2x10^6^Msun_ to1x10^9^Msun_, and appear to be unrelated to the underlyingstellar population. This suggests an external origin of the gas. Most ofthe elliptical galaxies with a molecular gas component have agas-to-dust mass ratio of ~700, where dust masses are derived from theIRAS fluxes, but some appear to have a ratio as low as 50. A smallapparent gas-to-dust mass ratio is also found for some late-typegalaxies, and is correlated with a low dust temperature. We suggest thata large part of the far-infrared emission from these galaxies (bothearly- and late-types) comes from dust associated with the atomic gascomponent rather than star forming regions associated with the moleculargas, and that they contain a cold dust component. Low excitationtemperatures for CO transitions in galaxies with cold dust could lead toan underestimate of the molecular gas mass by a factor of 5. The averageM_H_2__/M_HI_ ratio for the elliptical galaxies is 2-5 times lower thanfor normal spiral galaxies. Field ellipticals appear more likely tocontain an observable molecular gas component than those ellipticalsresiding in groups and clusters. To study the origin of radio activity in early-type galaxies, thepossible dependence of their radio emission on basic optical parameters,such as the absolute magnitude, the central velocity dispersion sigma,and the mean surface brightness mu is explored. A sample of 743 E and SOgalaxies is used which is based on three independent radio surveys ofoptically selected galaxies with virtually complete information onmagnitudes, morphological types, redshift distances, diameters, andradio fluxes. For both E and SO galaxies, only the absolute magnitudeappears to be directly related to the radio activity, while sigma and mudo not. Also, a significant dependence of the apparent flattening onradio power is confirmed for E galaxies. Some relevant implications ofthese results are discussed. Using the Uppsala General Catalog of bright galaxies and the northernand southern maps of the Lick counts of galaxies, statistical evidenceof a morphology-orientation effect is found. Major axes of ellipticalgalaxies are preferentially oriented along the large-scale features ofthe Lick maps. However, the orientations of the major axes of spiral andlenticular galaxies show no clear signs of significant nonrandombehavior at a level of less than about one-fifth of the effect seen forellipticals. The angular scale of the detected alignment effect forUppsala ellipticals extends to at least theta of about 2 deg, which at aredshift of z of about 0.02 corresponds to a linear scale of about 2/hMpc.